Hot Tub Music Enhances the Area and Relaxation - Turn it Up! 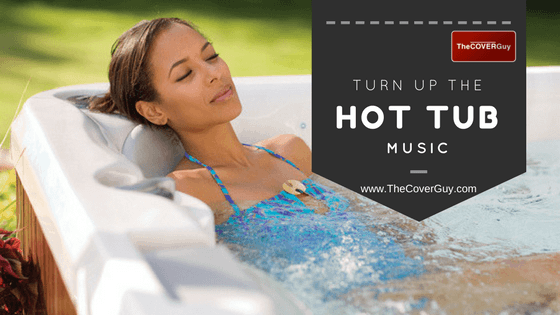 The right sounds can play a big part in helping you relax in your hot tub. The Hot tub music selection has to be right to set the perfect mood. Even better is the gentle tinkling of wind chimes, the breeze rustling in the leaves of the nearby trees, the sound of birdsong… these sounds are all almost as relaxing as the spa itself. Unfortunately, we don’t all live in our own private paradise full of the sounds of nature. For many of us, the only way to listen to nature in our hot tubs is to pipe it in through a hot tub audio system. That’s not necessarily a bad thing, mind you. The sounds of nature can be relaxing, but the things making the sounds are often less so. And hey, with a decent sound system in the tub, you don’t have to limit yourself to birds or the ocean. You can also listen to The Byrds or Billy Ocean. There are actually several ways to include audio in your spa experience. These days a lot of spas and hot tubs come with built-in sound systems as an option. Although, these systems are usually adequate at best. Spa manufacturers are great at making spas, but they aren’t experts when it comes to sound. It’s usually a better choice to build your own audio system, so you can choose the equipment that work best for you. The hot tub manufacturer speakers specifically for hot tubs come in a couple of varieties. The two most common are flush mounted and pop-up speakers. Flush mounted speakers are mounted flush with the cabinet of your tub, so are less intrusive. Pop-up speakers pop up out of the cabinet when you want to use them. They look cool and also keep water out of the speaker for the most part. Often if not always the hot tub audio that comes with your hot tub will breakdown due to moisture and chemicals. It’s best to save the money up front on the hot tub audio and purchase your own audio separately, that is placed around your hot tub for better sound. Most of the sound system components the manufacturers use can actually be purchased separately in local audio stores. You can retrofit your spa with the same speakers it would have had as an option when new. Most people choose to upgrade and pick a better quality set of speakers, and audio system. 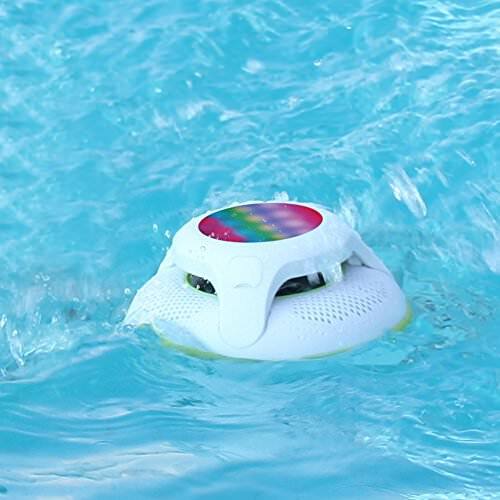 Two other options for Hot tub music that don’t involve modifying your hot tub in any way are a floating speaker, and super-directional speakers. A floating speaker, as the name implies, is a speaker that floats on the surface of the water. These speakers are completely water proof and usually connect to a device via Bluetooth. They are pretty robust and will last a long time, but the sound quality is often unsatisfying. However, with players like beats starting into this niche of the market there may be some better speakers on the market soon that will make this an option for hot tub owners. Super-directional speakers use ultrasonic waves, which we can’t hear, to carry the sound waves we want to hear to a specific place. Think of it like a beam of sound – a musical sound laser. Simply point these speakers at the tub, from up to 100 yards away. 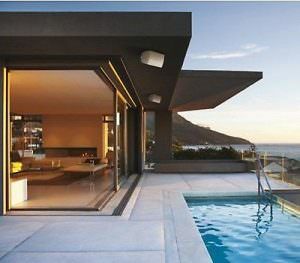 The result is that you’ll be able to hear your music or relaxing sounds from inside the hot tub. Standing right next to the tub, however, you’ll hear nothing. You’ll be able to listen to your music as loudly as you like without bothering your neighbors – they won’t hear a thing! If you are a bit of an audiophile, you might choose to avoid hot tub speakers altogether and go for something with even better sound quality. The only catch is that some audiophile-quality speakers are far from weather and water-proof. Protecting them from the elements is top priority. However, outdoor equipment audio gear is becoming better and better and built for the outdoors as well. Many speaker manufacturers are offering weather related equipment that is standing up to the elements. My personal choice for our Hot tub music would be some outdoor Yamaha or polk speakers with a Sonos Amp setup. This would give you a great wireless bluetooth audio setup that would allow you to play everything on your devices or stream from the internet. The Sonos Amp is all you need, it acts as your receiver and internet conduit.